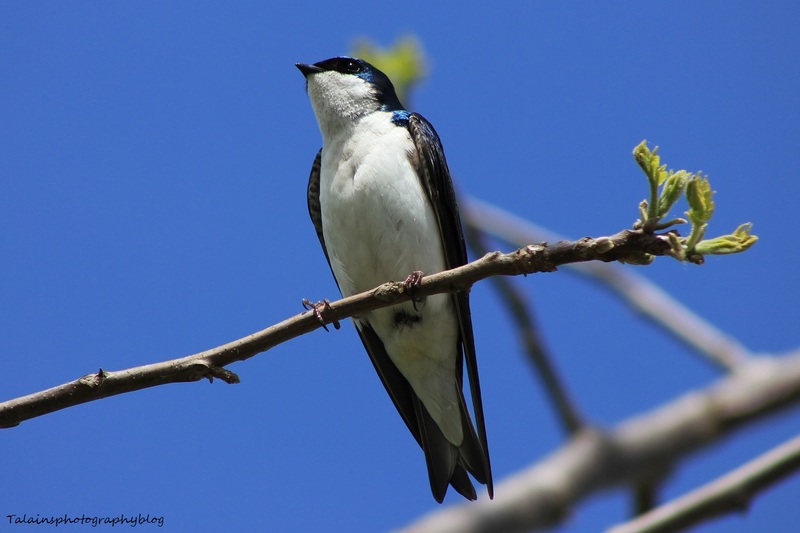 This is a Tree Swallow that was up to the family farm property last year. This is my oldest sons favorite bird of all he clams and I don't know totally why other then the iridescent blue coloration on the birds back side. If there's any more then that, I just don't know. I do personally enjoy seeing them up to the farm flying gracefully around and singing on the power lines and fence posts in a squeaky - chirpy pleasant sound. 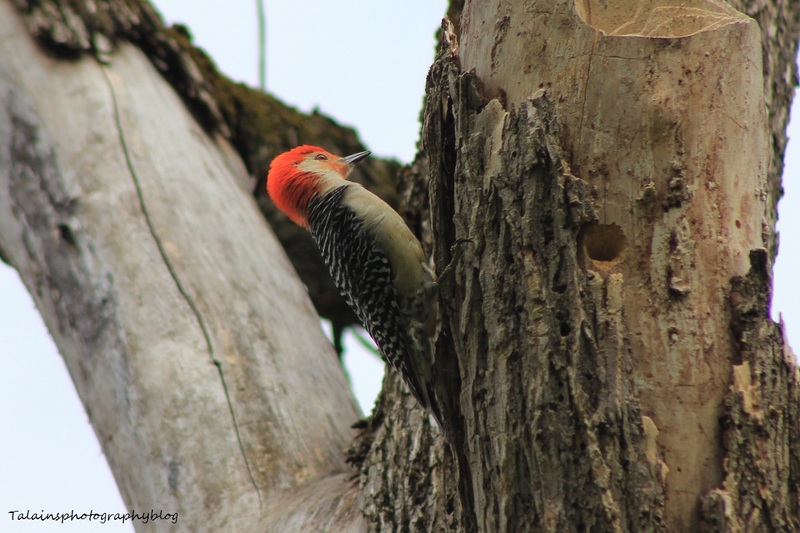 This one was being nice to let me get a close-up of him in a black walnut tree. They like to move around a lot. 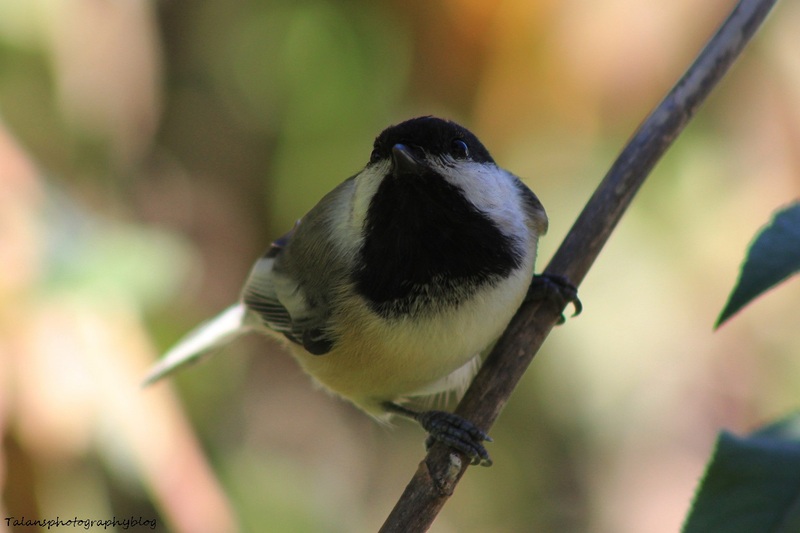 A Black-capped Chickadee from yesterday that was in my back yard. He was hanging out in the brush waiting for an opportunity to dive into the garden and grade a sunflower seed or two. 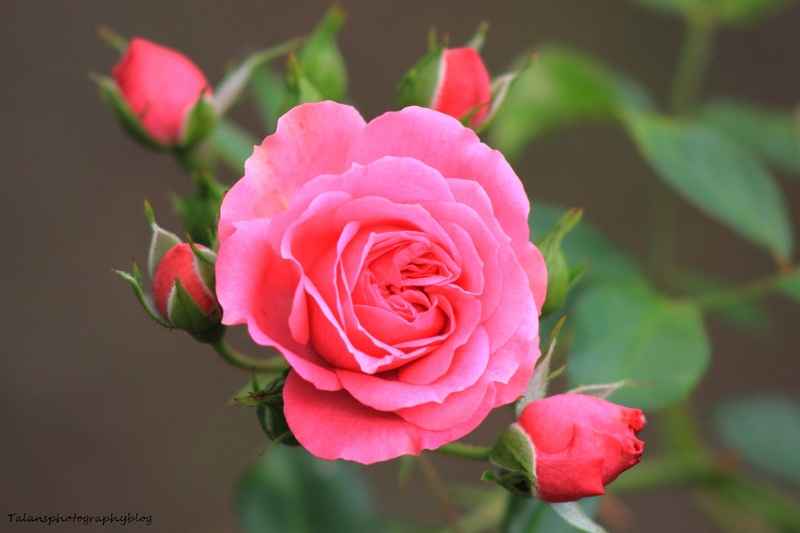 A red rose from a local garden in my area. Something beautiful for you all Today, enjoy. 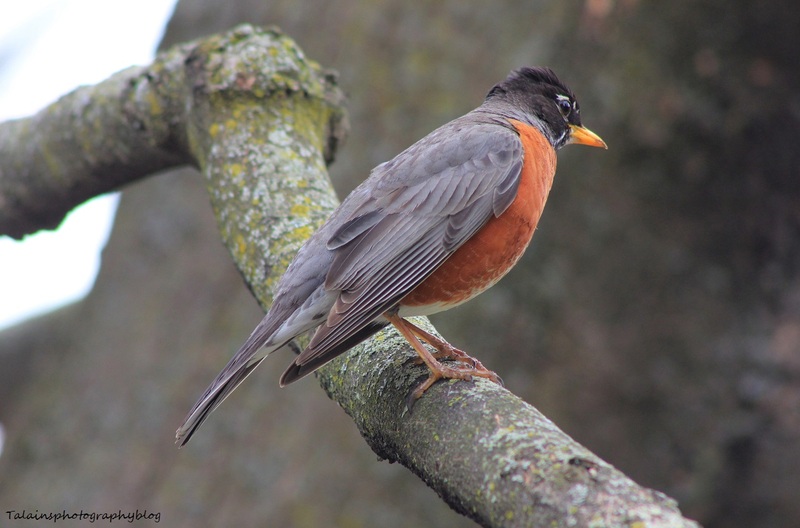 Here's A bird that I don't post that much and it is the most frequently bird I see, "The American Robin" This one was in my back yard waiting for a good time too go down to the ground and forage. 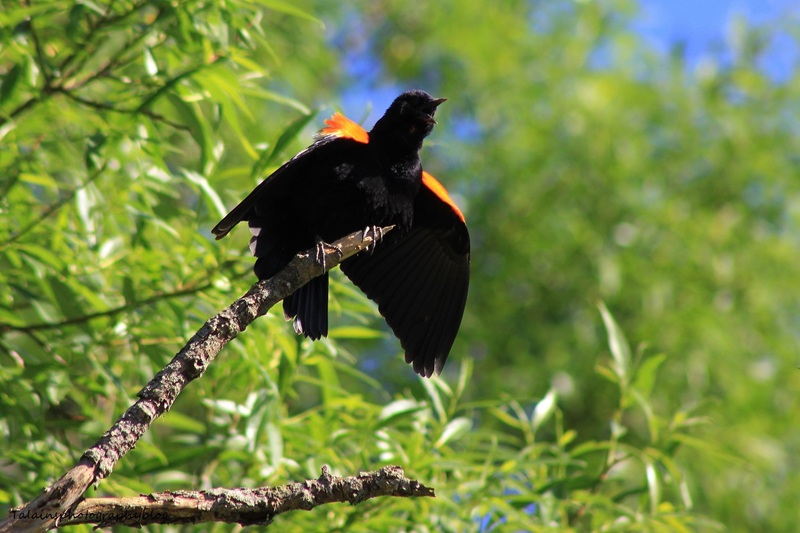 A Male Red-winged Blackbird that was proclaiming his territory up to the Little Chocnut Site 2 area. Butterfly #58. 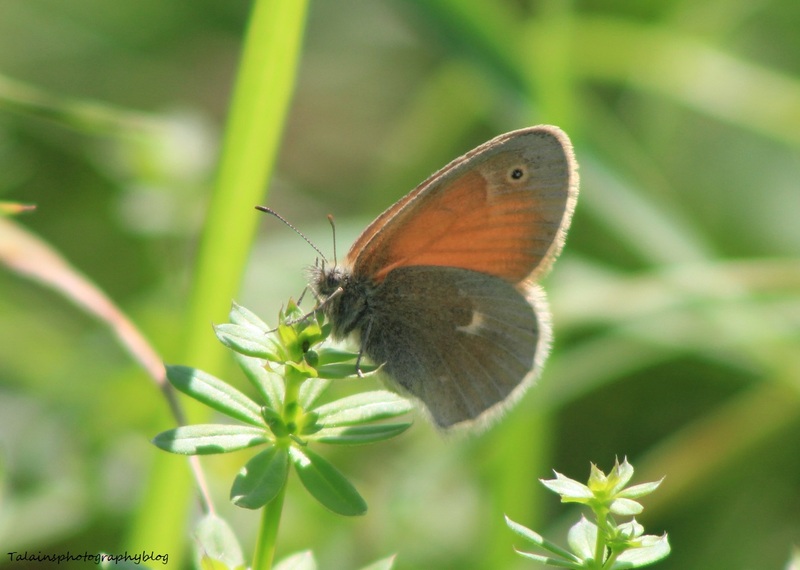 I believe this to be a Prairie Ringlet Butterfly that started making it's appearance up to the farm about two or three years ago. We had them in large numbers this year compared to the past years. You could find them very easily in the fields jumping from plant to plant ten - twelve at a time. It's a neat little butterfly to say. Not to splashed with color but happily different in it goldish coloration on the top of its wings. Hope you enjoy him !